Hook..."the focus must be on holistic, multi-disciplinary teams"
In the UK alone more than 600,000 startups open for business every year. Each has the potential to change our behaviour, and upset the status quo – and many of them are succeeding in fundamentally altering what people want and how they behave. For clients, this environment of accelerated change is truly disruptive, and it’s not going to slow down. However, what remains the same is that the real value of what we do is connecting our clients’ most valuable asset, their brands, with real people. It’s real people’s lives that have changed – how they connect, how they learn, and how they build relationships. Everything is faster, easier and more personal. That’s why every brand needs to innovate to get closer to them. In developing an ecosystem built on broad proxies and cookies, the industry has put the integrity of connecting with real people at risk. This has given rise to some of the big challenges: from fraud, to frequency overload, to extreme complexity. We need to refocus on cultivating a better link between media exposure and real people. In the US, Merkle’s M1 platform for audience insight and activation, which builds from person-level IDs, has brought a baseline 20% improvement in efficiency and up to 200% uplift in outcomes. Expect the same approach to land in the UK this year. People’s appetite for content, particularly video, is insatiable. But the choice is almost limitless. To find receptive audiences, brands have to learn from real-life behaviour, and become part of the content that people choose to engage with. This is where access to a constellation of modern content-producers makes a real difference. It enables brands to be a part of the things that people actually care about, like food, music and entertainment. Performance marketing is entering a new era, where we can recognise and adapt to the real variables that make people more or less likely to buy. While these triggers are deeply human, they can be optimised effectively only through the advanced use of technology. True performance specialists can see this game has changed. The heart of their discipline is now about accelerated learning, through machine technology and AI – enabling optimisation to the unique contours of people’s lives for better performance. Expectations of the customer experience have never been higher. A few seconds of loading time, or unnecessary friction in the transaction experience, has a huge impact on how people feel – and on the bottom line. The best customer experiences are founded on agile agency-client relationships. These come from working together as one to make thousands of minor changes every month, with each focused on improvement. A customer’s relationship with a business now flows across many platforms and products, but people demand a synchronised and personalised experience that delivers real value. If you want to retain your most valuable customers, they expect you to enrich every interaction with understanding of their needs. This is where businesses need partner agencies with deep knowledge of developing connected-data technologies. This is how an 800-strong European team in a business such as Merkle can enable true people-based marketing – with a constant eye for data privacy and value exchange. Every discipline is innovating at speed. But the most significant innovation comes from building holistic, multi-disciplinary teams. The most powerful accelerator for all of us is creating a shared culture across many disciplines – devoted to placing real people at the heart of everything we do. 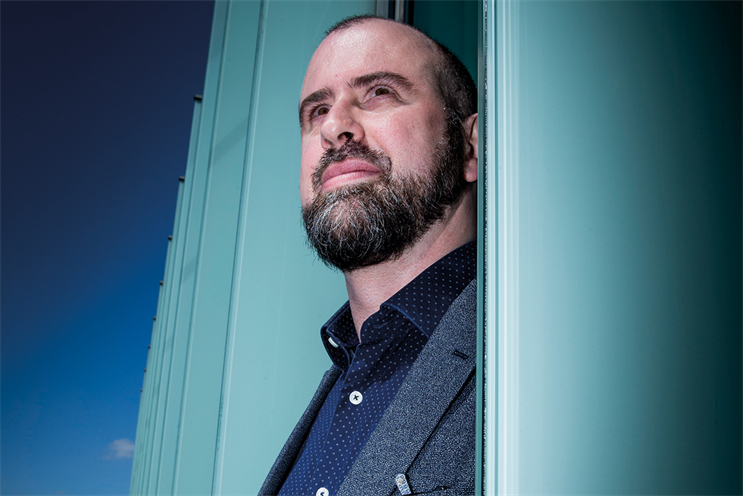 "Opportunity now exists for agencies to be at the centre"